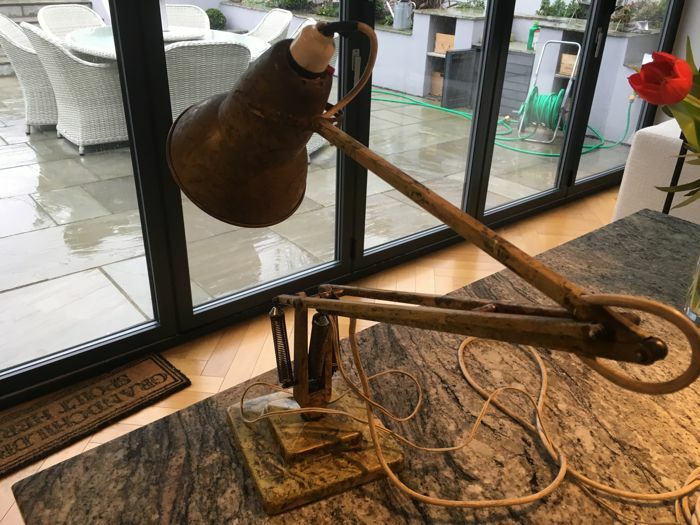 This original lamp was manufactured by Herbert Terry and Sons Ltd of Redditch from a design by the engineer, George Carwardine. 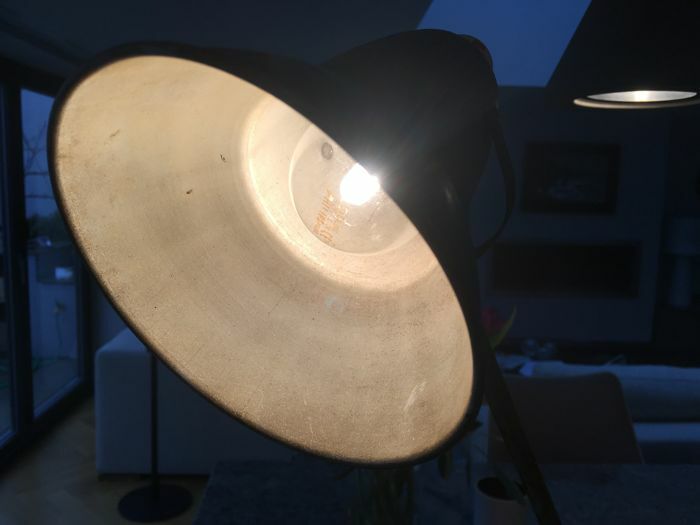 Such lamps came into production in 1935 but exact dating is difficult. 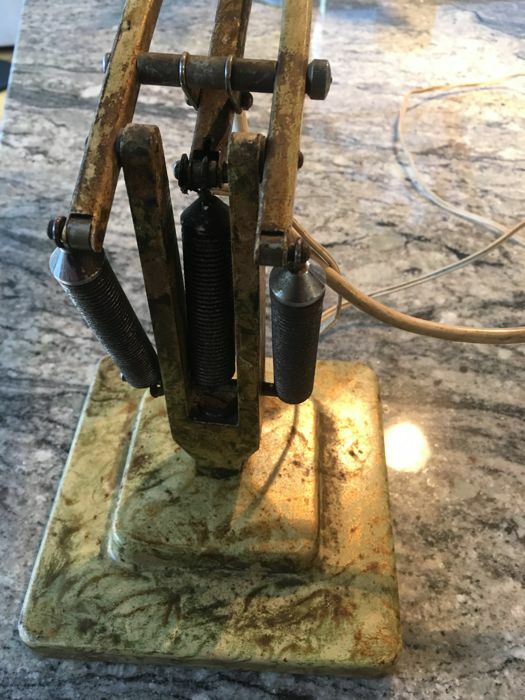 However the rolled edge to the shade and the steel linkage strips and spacers (later replaced by nylon) indicate that this is one of the earlier examples and relatively rare, especially in such good condition. The colourway involves beige, brown and gold (the gold seen particularly on the heavy base). The paintwork condition is also good with no noticeable areas of damage. 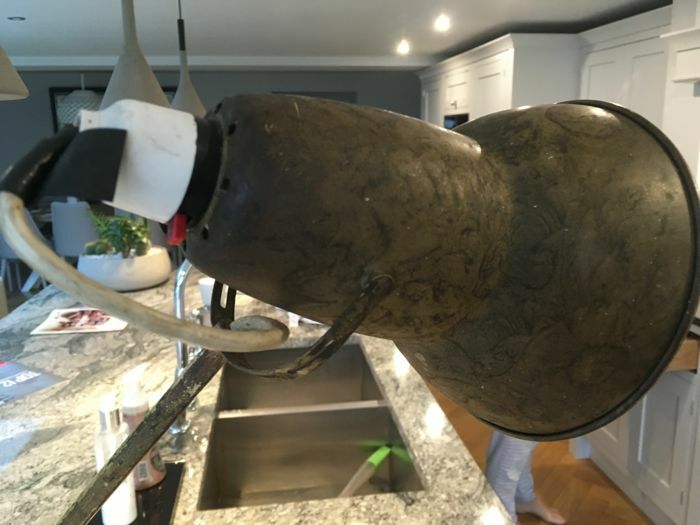 All moving parts are present and operational, but the lamp has been re-wired with modern cable. 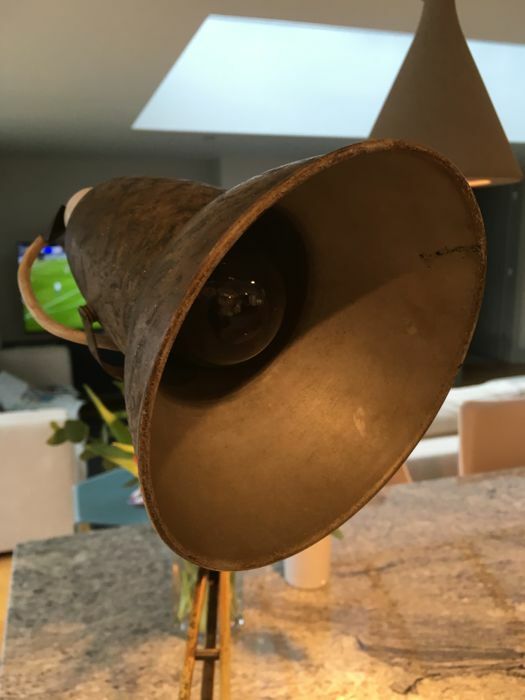 Although the item is working (see photos) it would look better aesthetically if a flex more contemporary with the lamp was used. There is a patent statement and manufacturer's details on either side of the bracket immediately above the base, showing authenticity. Shipment of the item (weight approx 4.5KG) by Royal Mail tracked delivery will be arranged promptly after payment. Materiale come da descrizione, spedizione velocissima, tutto perfetto.